Get the Perfect Curl with Tweezerman! For my birthday the wonderful Beauty Vixen gave me a Tweezerman Pro Lash Curler! I didn’t know I needed a better curler, or that my lashes could look that good, until I tried it! I really didn’t know that my previous eyelash curlers (brands such as Revlon, Elf, Tarte) were pulling my lashes until I tried this one. NO PULLING, JUST AMAZING CURL! It’s hard to describe but these seem firmer when closed so they don’t budge, pull, slip, etc. This is huge – and I want you all to think about this when you use whatever brand of curler you are using. Your lashes shouldn’t be falling out; your skin shouldn’t be stretched; you lashes should just look naturally curly (in an even curl). 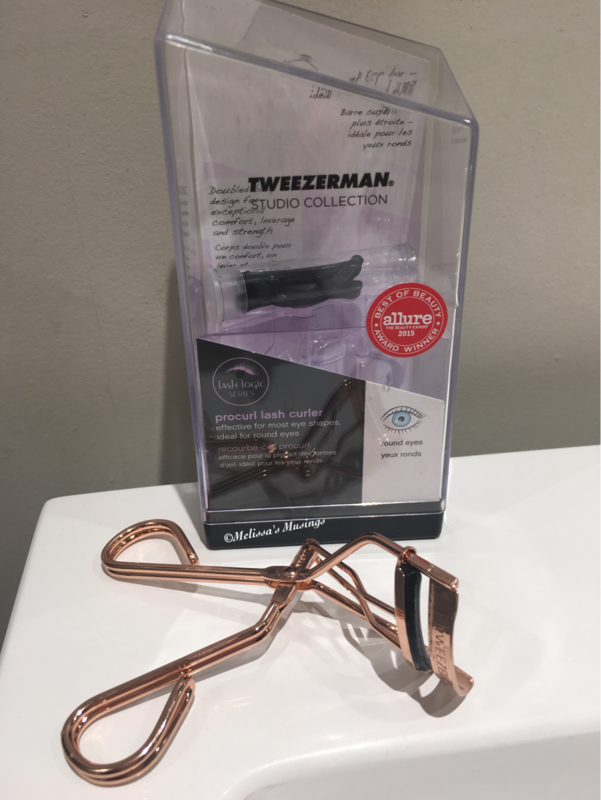 Show your eyelashes and eyelids some love and try out Tweezerman’s curler-you will be thankful you did. This entry was posted in Beauty and tagged curler, eyelash curler, eyelashes, eyes, makeup, tools by maldham. Bookmark the permalink.